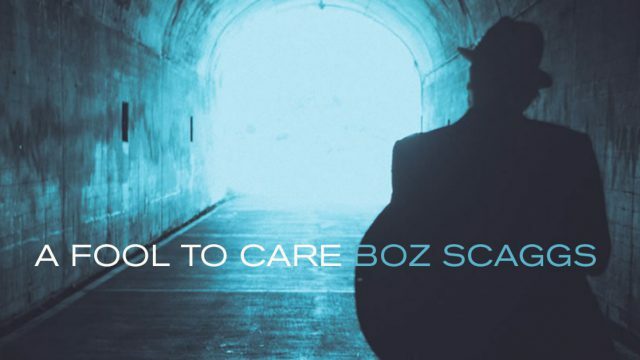 Save the Date - May 13 Benefit Concert with Boz Scaggs! It's been a couple of months since you have heard from me; lots has been going on, including welcoming OS36 in January. They are now well into the Fortune Cookie project, and are delighted some sunshine has finally arrived after all the crazy rain this winter. Students thoroughly enjoyed Visiting Artist Hung Liu and Jeff Kelley’s recent residency where she worked closely with students on large-format paintings of tiny objects, and Jeff delivered a series of college-level slide lectures on contemporary art history. As some of you will remember, Hung was our very first resident artist, working in a building on the fairgrounds since the studios were not even built! And, as I hope you have heard by now, we are holding our Spring Benefit Concert that same Saturday evening. We are very pleased that the legendary Boz Scaggs will be performing, so make sure you mark your calendars. Boz performed at an Oxbow benefit many years ago now, and he was fabulous! We are delighted he's willing to return. The Benefit Concert is at 6:00pm, a short walk from Oxbow at The CIA at Copia where guests will enjoy refreshments and have the option to partake of a buffet dinner at seated reserved tables, or purchase a concert-only ticket. Dinner with concert tickets are $350 each, and concert-only tickets $125. Printed invitations will be sent early April, so keep an eye out for yours. We will also host a curated Oxbow Alumni Art Show in the foyer of The CIA at Copia, which will allow guests to see both the immediate impact of an Oxbow experience at Final Show, and what can happen after students graduate from our wonderful program. Finally, you may have heard back in the fall about our idea to leverage Oxbow's beautiful campus and prime location for the BottleRock music festival on Memorial Day Weekend, May 26-28 . The idea came to fruition thanks to unanimous approval by the Napa Planning Commission. We will be setting up 16 deluxe safari-style tents for 32 guests who will enjoy private wine tours in the mornings, rock out all afternoon and evening at the festival with 3-day VIP passes, and stay within a stone's throw to the entrance to the festival venue. All of the tents sold out within 24 hours for $10K each which makes this a fantastic fundraiser in support of Oxbow's scholarship fund. I hope this newsletter finds you in good health and fine spirit, and I look forward to seeing many of you on campus in May. To everyone who joined us for the 3rd Annual Riverside Picnic and Concert on Saturday, June 11 to RAISE THEIR PADDLES in support of The Oxbow School, THANK YOU! 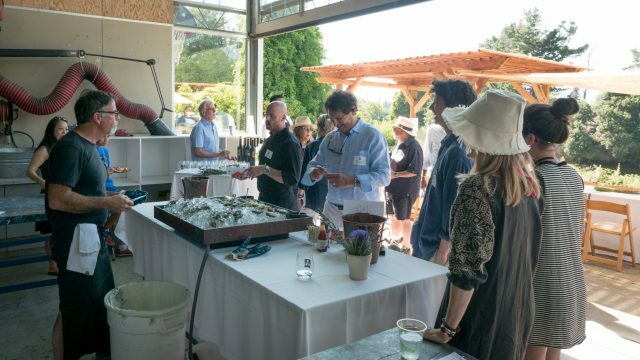 The event was once again a wonderful gathering of friends on Oxbow’s stunning campus to enjoy great food and wine, fun live bluegrass music, and we raised over $75,000 in support of deserving Oxbow students. Thanks to the generosity of the community who shares our commitment to student diversity, we are able to provide financial aid and create a school of access for students from a diverse array of backgrounds and experiences. 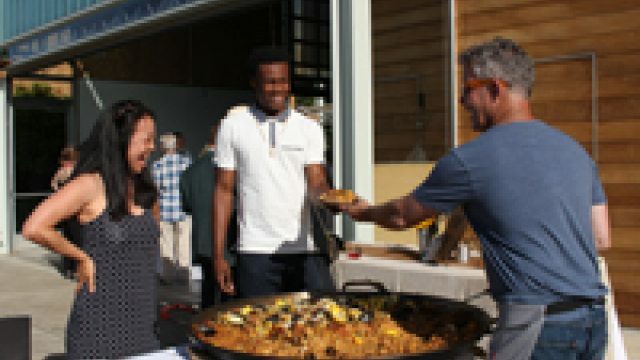 Cowgirl Creamery, Don Perico, Downtown Bakery & Creamery, Eight Noodle Shop, govino, Hog Island Oyster Co., Lagunitas Brewing Co., Let's Be Frank Dogs, Model Bakery, Napkins Bar & Grill, Roccia Viva Olive Oil, Silverado Vineyards, Thistle Meats, Zuzu Wood-Fired Paella Co. Thanks also to our individual sponsors for their generosity in helping to underwrite the event: Ann Hatch, John Sanger and Maria Vella, Ross Levy, Catherine McNamee and Chris Miller, Jeremy Stone and Darren Waterston. Thank you also to the Benefit Committee: Catherine McNamee, Amy and John Nichols, Katie Wheeler, Patricia Curtan, Mary Bourke, Susan Moodie, Terry Schulken and our event photographer Jason Tucker OS20. A special thanks to faculty and staff volunteers Tracy Bates, Jenny Emanuel, Cinde Cromwell, Patrick Foy, Holly McVeigh and Amy Troutner; and alum volunteer Silas Blunk OS27. It was so rewarding to see long-time Oxbow supporters rally new Oxbow supporters along with many Oxbow alumni. Thanks to all who attended and the many who donated in absentia. Stay tuned for a save-the-date for next year’s late spring/early summer event! Please join us on June 11th for the 3rd Annual Oxbow Picnic & Concert on the Oxbow lawn with music and great food – it's a fun afternoon by the Napa River. Don't miss the live Bluegrass musical performance by Ed Neff and his band, and the fabulous picnic featuring food and drink from some of the Bay Area's finest purveyors. Purchase your tickets now! Funds raised support Oxbow's scholarship fund. Since the School opened its doors 53% of the more than 1,150 students who have attended the program received some level of scholarship support. 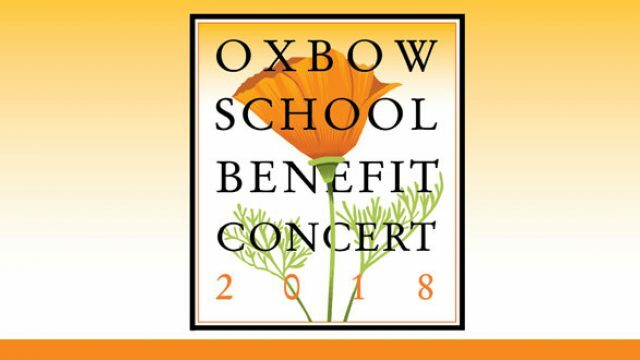 For more information contact, Mary Bourke at 707.255.6000 or mary@oxbowschool.org. one for Margrit . 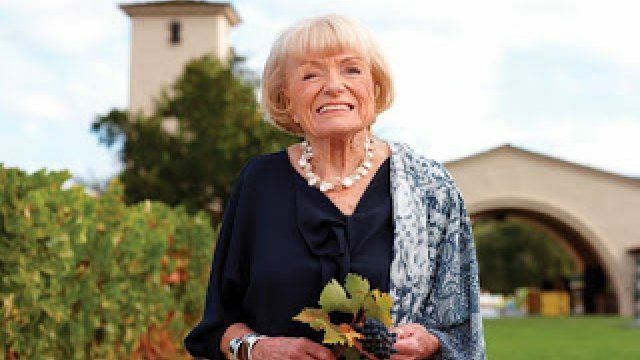 . .
Oxbow Friends - Thank you to so many of you who showed up in support of both Oxbow and Margrit Mondavi, one of Oxbow's founders on April 16th at the Robert Mondavi Winery - it was a spectacular evening in every way; the weather couldn't have been nicer or the setting more beautiful. The event was sold out with many family members and long-time friends of Margrit, and a sizable group of devoted friends of Oxbow; and best of all, thanks to Margrit's generosity and foresight for collecting many works by visiting artists to the winery over a 40 year period-all of which were auctioned off that evening-Oxbow was the recipient of the proceeds from the event. Truly a win-win for all involved! As you may have heard by now, two very generous Oxbow trustees have recently offered to underwrite the alumni event scheduled for next Tuesday, April 26th at The NWBLK gallery in San Francisco at 1999 Bryant Street from 6:30-9:00pm. We hope to see many of your smiling faces for what is sure to be a splendid gathering of Oxbow fans. Esteemed alumnae Daisy Linden OS10 and Jordan Felling OS5, are planning a spirited evening based on one of the most popular Oxbow School activities, The Fortune Cookie Project! Last week, alumna Caroline Woolard OS4 spoke to students and other members of the Oxbow community at the CIA theater nearby about her practice, development and execution of ideas. Students in particular were entranced by her focus and commitment, and asked a barrage of questions as they grapple with their own pending Final Project. On campus as I type, OS34 students are well underway with research for their projects;the ideas being discussed are truly inspiring and reflect the artistic and intellectual spirit of this particular cohort. The Final Show and Open House for the students of OS34 will be held on campus May 14 and 15 from 1-3pm. All are welcome and encouraged to attend. Please join me in welcoming Oxbow's newest staff member, Mary Bourke, who has taken on the role of Director of Development. Mary is enjoying getting to know the School, so please do introduce yourself when you see her on campus or at Oxbow events. Finally, please save June 11th for our Annual Picnic Benefit. Bring your family and/or friends as we celebrate yet another extraordinary year at Oxbow. More details to follow.